Teaching the undergrad students about emerging materials this week. To make our labs more educational this year (with massive amounts of extra safety protocols added), we conducted several concrete compression tests on conventional concrete wrapped in a carbon fiber reinforced polymer (frp). The students are able to compare their normal conventional concrete compression cylinder tests to compression tests of concrete cylinders with frp wrap. The above video shows one of the concrete compression tests with frp wrap (the best bit is near the end). A sacrificial camera was used to record failure in a safe way (an old Sony Cybershot from 2006). 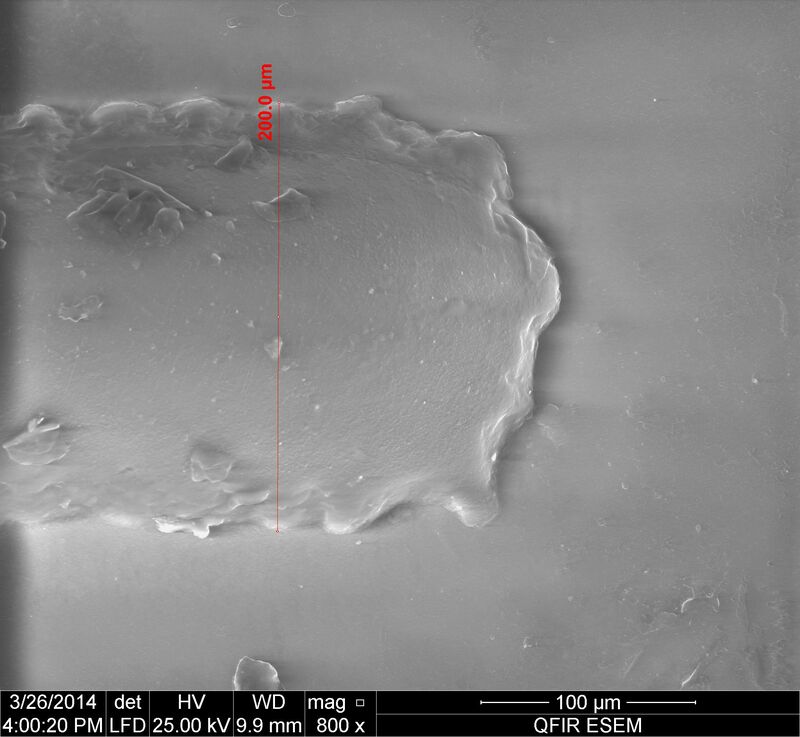 The cylinder failed with a compressive stress above 65 MPa (around 500 or so KN), whereas the average normal compressive failure strength of this concrete mix (without frp) was about 40 MPa. The students were asked at the end of the lab to discuss the mechanisms and effects of ‘confinement’ using frp after observing the lab. This week, I have been completing some work at the Queen’s University Facility for Isotope Research. 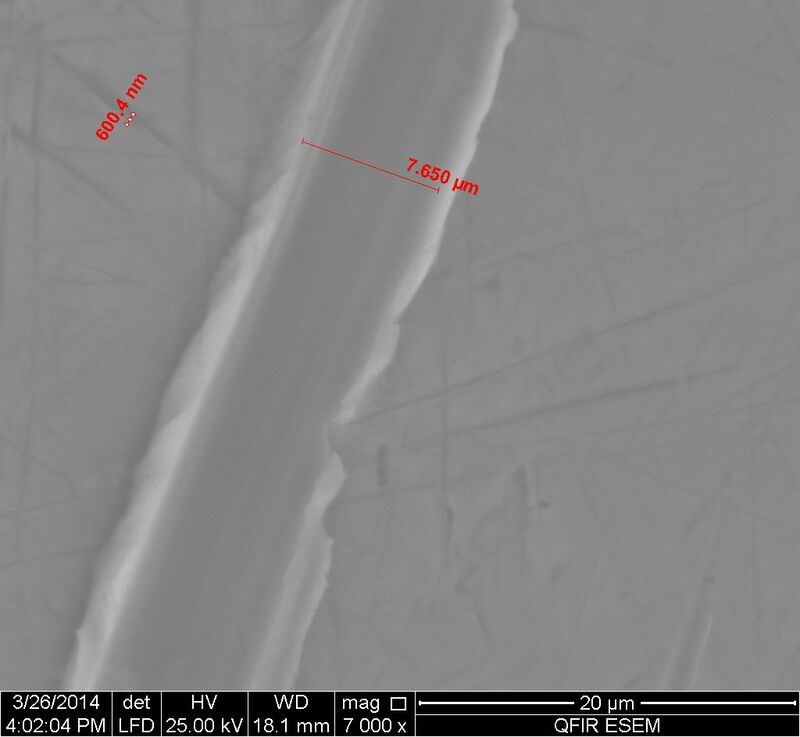 There I am using a MLA 650 FEG Environmental Scanning Electron Microscope (ESEM) to investigate micro-cracking of high temperature exposed concrete. This work is part of the Sustainable concrete mixes with recycled concrete aggregates in high temperature project I am working on. I will discuss this project in a future blog entry. 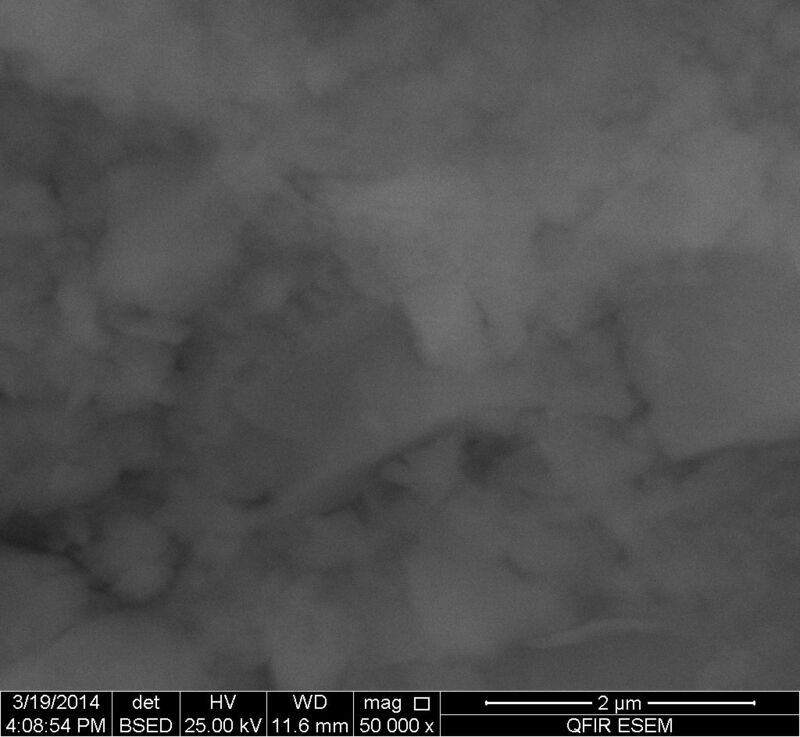 To the side is a sample SEM image (grey-scale) of concrete. The photo on the left is of a stainless steel object. In the past, this object would have been made from iron. The measurements indicate the width of ‘micro scuff marks’. For the photo to the right, a very famous plastic object was used. The raised surface forms part of its branding. Actor Will Farrell recently popularized the object for its ‘sophistication’, but materials experts know it for its precision, which is verified by the measurement shown. See if you can solve these mysteries! Follow my tweeter feed for the solution.